Made of hight quality maple wood. 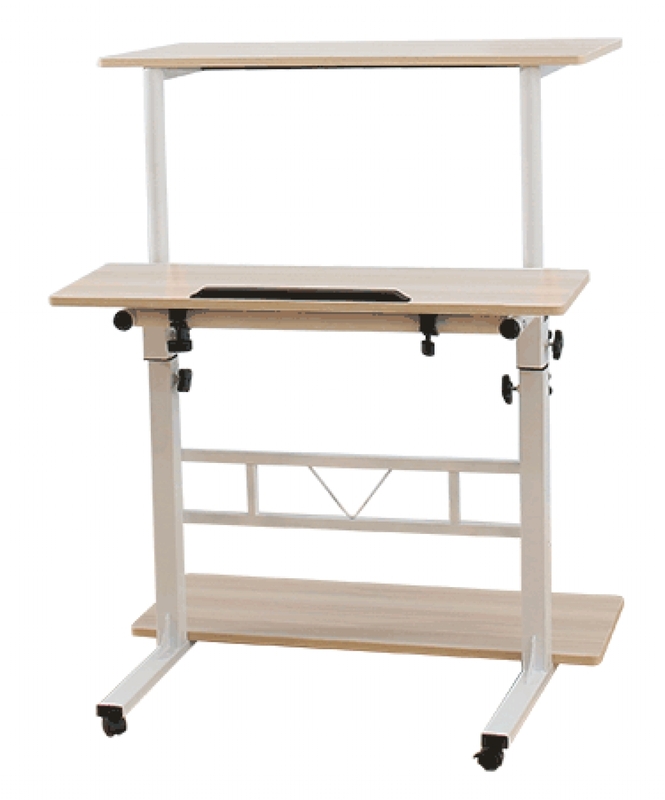 Mobile on four dual wheel carpet casters/wheels, two locking brakes. The split top design allows you to store all necessary tools and devices while conserving space and keeping your monitor at eye level. 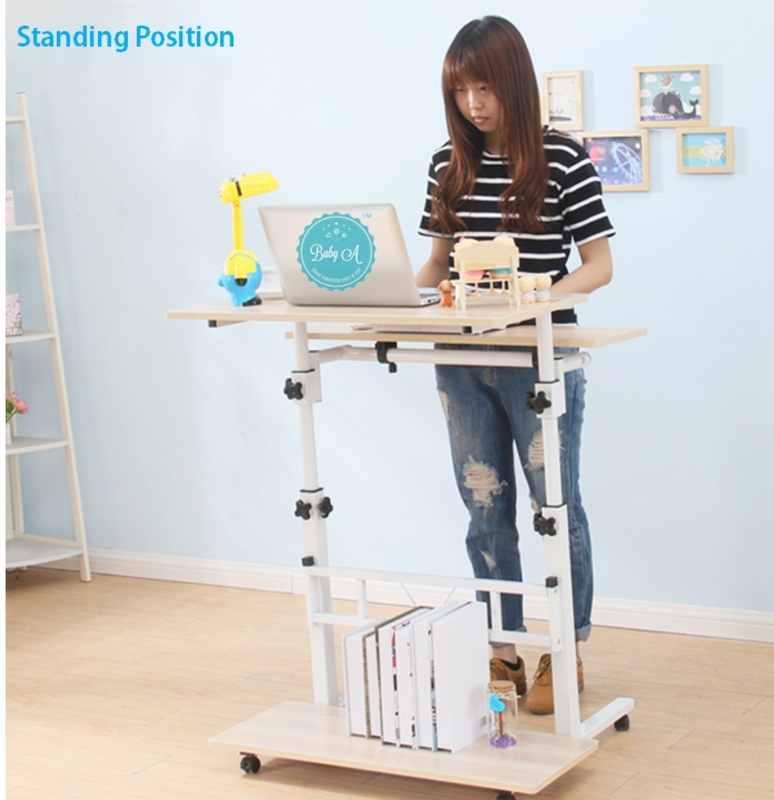 NEW taller height - Easily adjusts from sitting to standing range from: 73 cm to 150 cm. 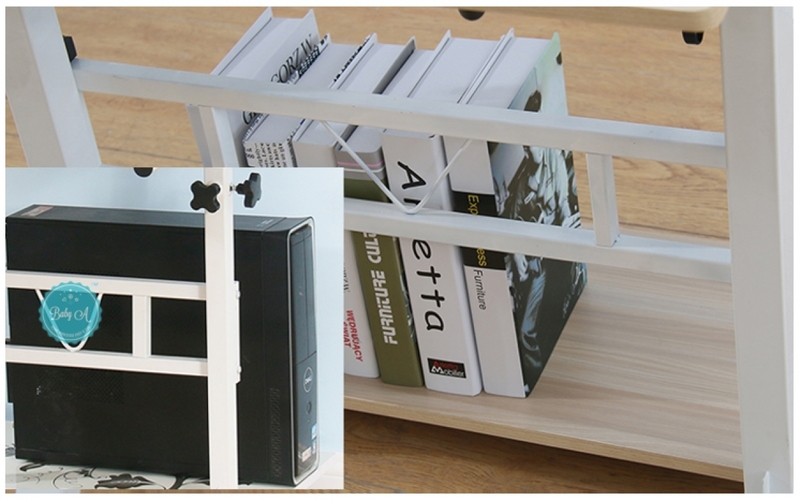 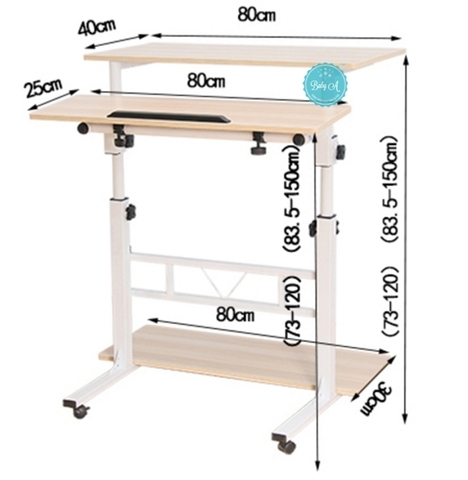 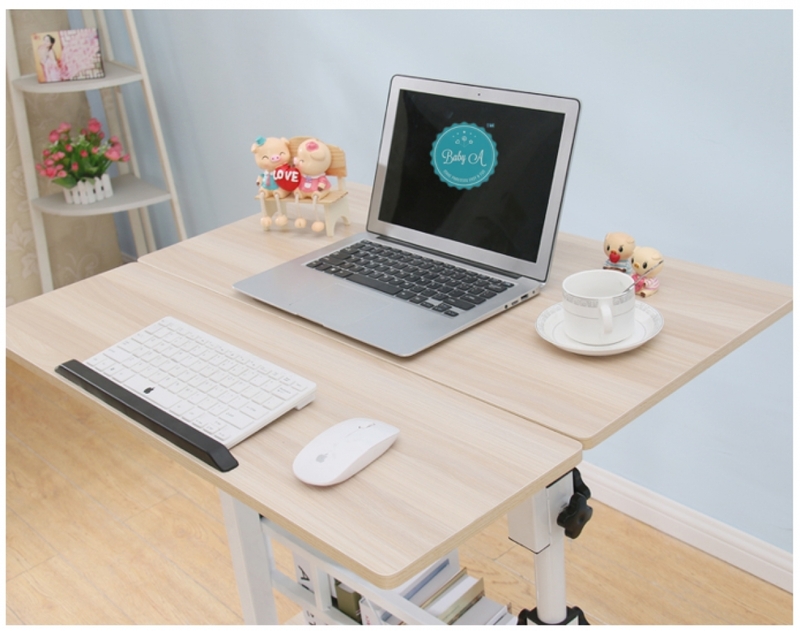 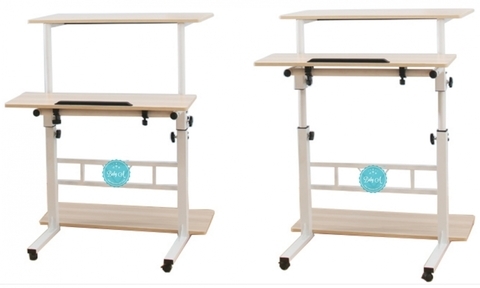 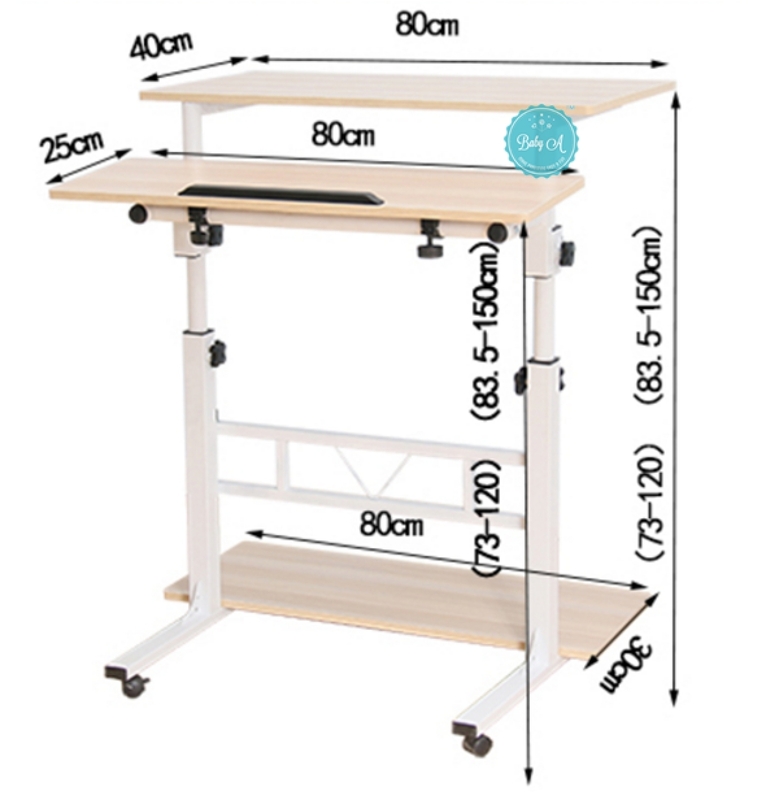 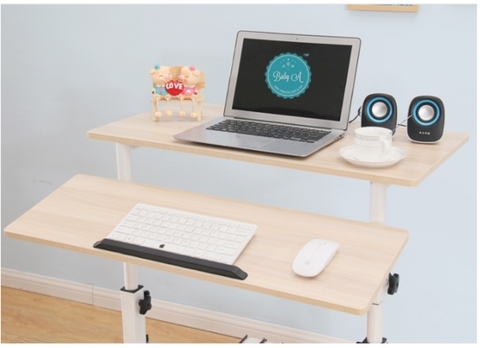 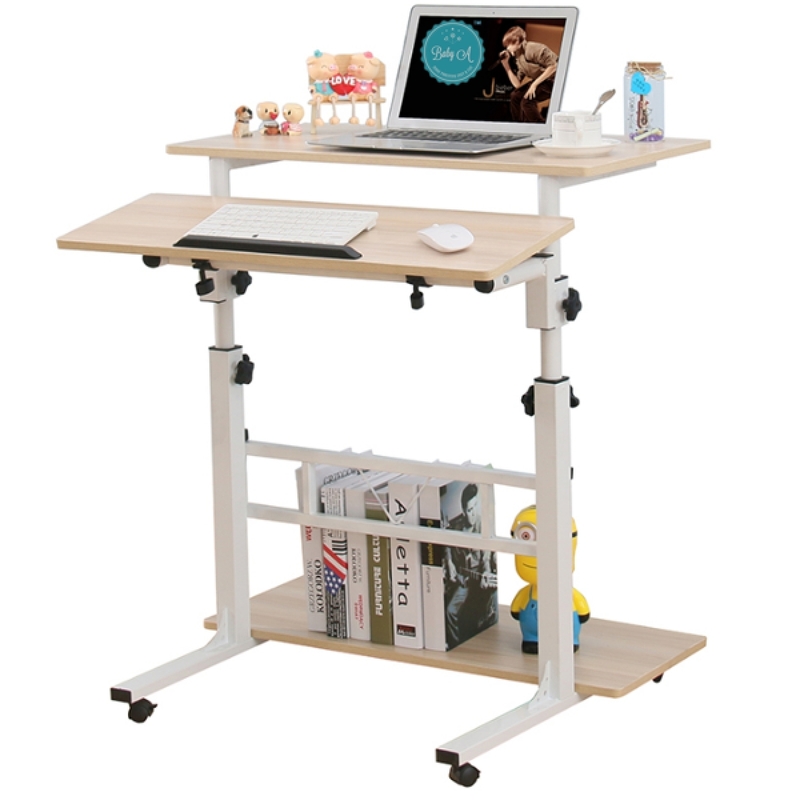 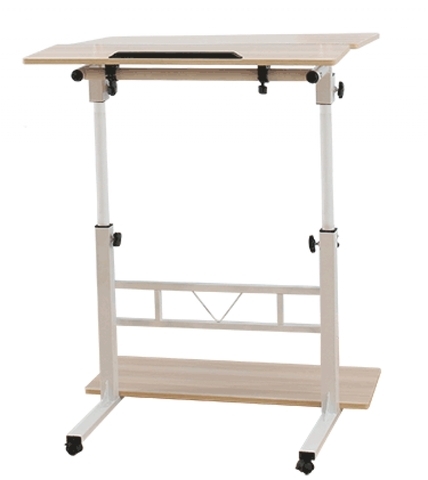 The 4 casters at the bottom with locking brakes make moving your desk simple and painless to anywhere you want.